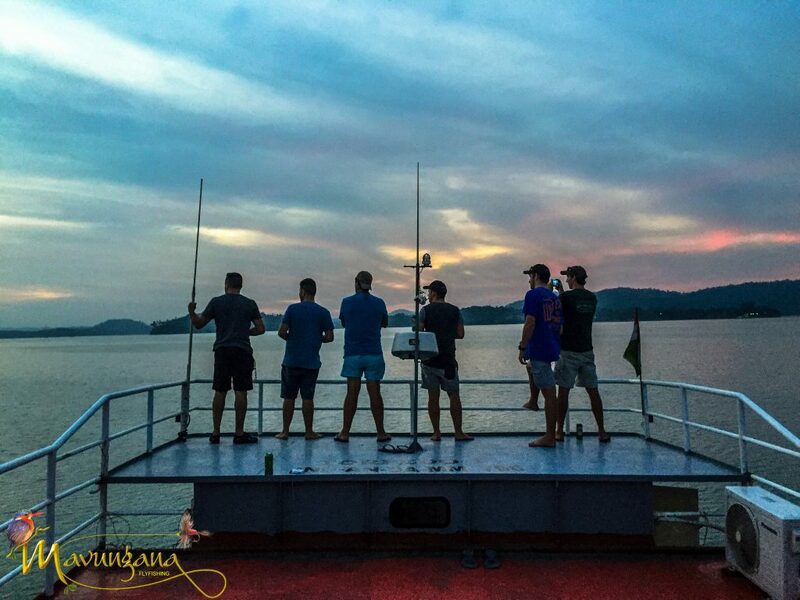 Traversing the seas of the Andaman Islands with a bunch of mates, 500 tropical islands, cannibalistic tribes, unchartered waters, naïve fish and the prospects of the unknown…. The opportunity to go on a wild and adventurous exploratory trip to a remote and exotic location doesn’t come around often so when it did I didn’t hesitate to get involved. After carefully selecting a group of guys, the team was in place. 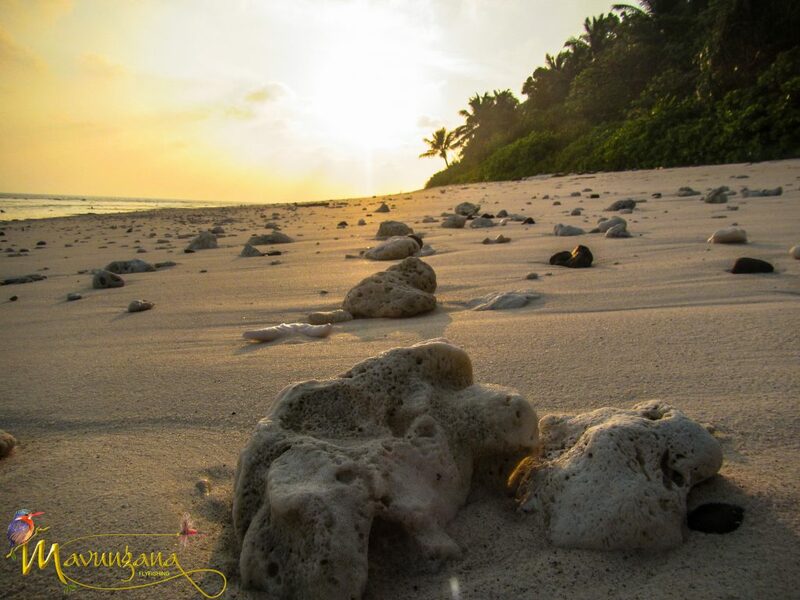 We started planning and preparing for what was going to be one of the most memorable trips of our lives…. 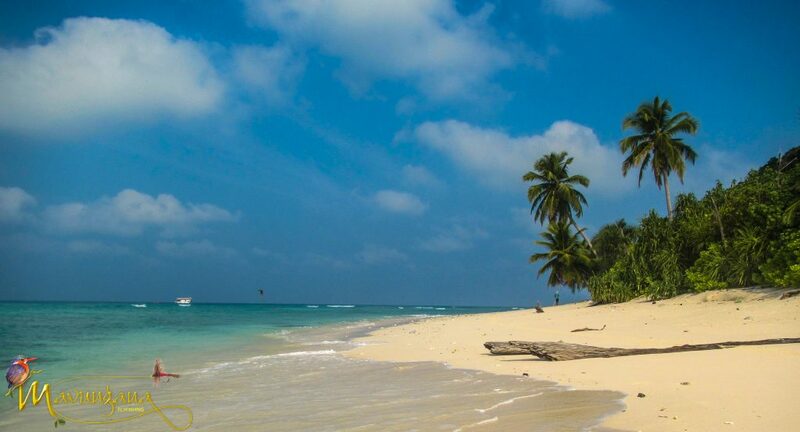 One of seven union territories of India, the Andaman and Nicobar are a group of islands at the juncture of the Bay of Bengal and the Andaman Sea and consist of 572 islands of which only 34 are inhabited. Interestingly, one of them is home to the only known Palaeolithic people, the Sentinelese who are believed to be cannibals and have absolutely no contact with any other people by means of what India calls a ‘non-exclusion zone’. A strong and constant reminder of the kind of place we were going to be venturing through. The day had arrived and we set off on the long journey from South Africa. After reaching our final destination, we sorted out a couple of last minute things on one of the main islands that had a little bustling town where you could still see the aftermath of the 2004 Tsunami. Nevertheless, the people are all happy, dogs run amok and cows don’t have a care in the world. This was a true Indian Island experience in itself and set the tone for us all. We boarded our vessel which we were to call home for the next 11 days, settled in, rigged up and set off. There is something to be said for waking up each morning to a new island and flat which you have all to yourself with no one in sight for a very long way. The isolation of these islands from everything else is pretty special. One gets to really feel what it is like to go into the unknown, to explore places that have never seen modern man let alone, fly-fisherman! Temperatures are hot! We are talking 38 degrees in the shade with humidity through the roof. It just so happened that on this trip there was barely a breeze on the ‘windy’ days. 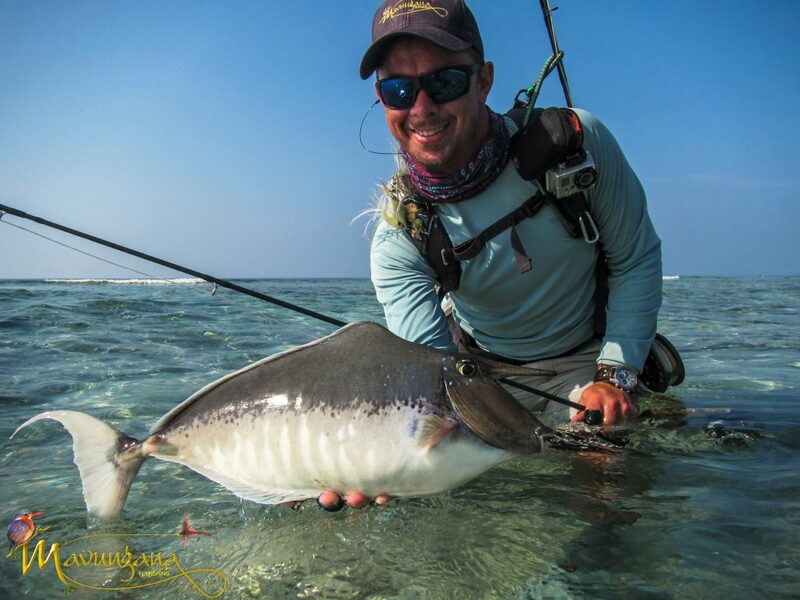 For most of us, it was a serious adjustment both on the vessel, islands and on the flats. The fishing, well, when you get to a place that has not felt the impact of humans it really puts things into perspective as to how things used to be “way-back-when”. Crystal clear flats, fish in their droves, triggers tailing, bluefin buzzing you in the waves, GTs smashing baitfish on the drop-offs. The one day we had a bale of turtles, as many as 40, milling around on the flats in an area no bigger than a rugby field. 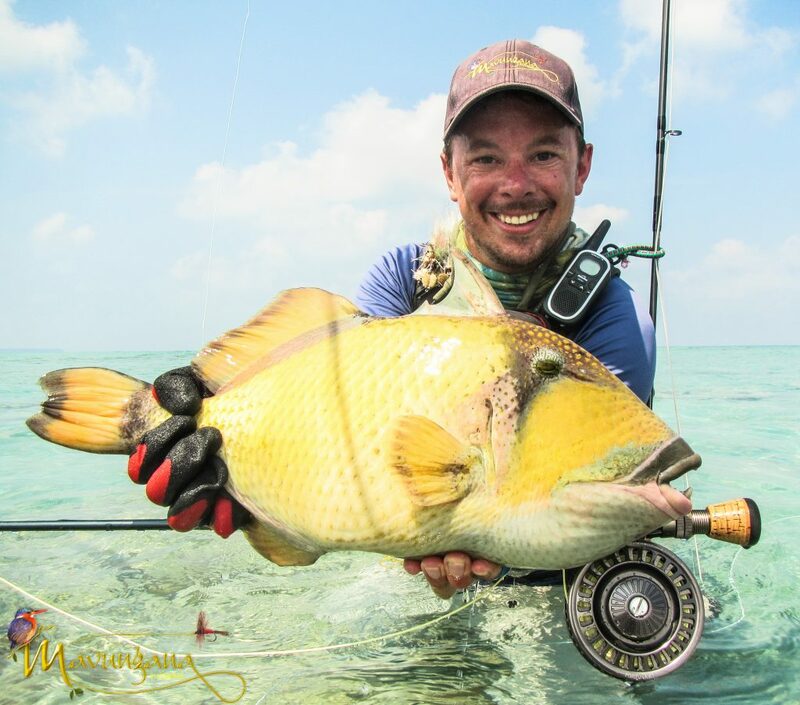 For most of the group this was to be the first flats fishing experience and as to be expected, it took some time to get into the groove… especially when targeting the trophy-sized Titan triggerfish with its super fussy demeanour. 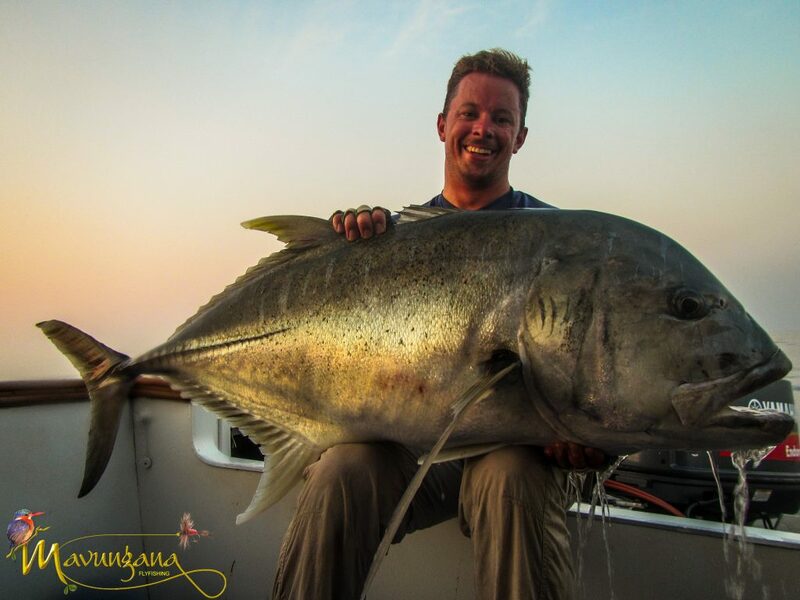 All in all, we got some great fish between us, missed a lot, had some 40 kilo GTs charge in but as it goes with these big guys, seeing them, hooking them and ultimately landing them is a different story, and let’s just say we have a score to settle next year upon our return. We fished the upper reaches of mangroves for Barramundi on old clapped out diesel engine dhungi boats, we fished drop-offs for massive grouper, we bommie-bashed for a plethora of species, saw schools of massive Bumphead parrot fish, caught the elusive Unicorn surgeon, bush-whacked through jungles in jeeps, and even landed up playing cricket with the Andaman Premier League on one of the inhabited island where we stopped to replenish supplies. It was a real gas from beginning to end! Each evening the stories would unfold of the day’s experiences, cameras past around to confirm any suspicions. Bevvies (beverages) were consumed, fines were issued, curried fish demolished, and toilet hour… never fun. 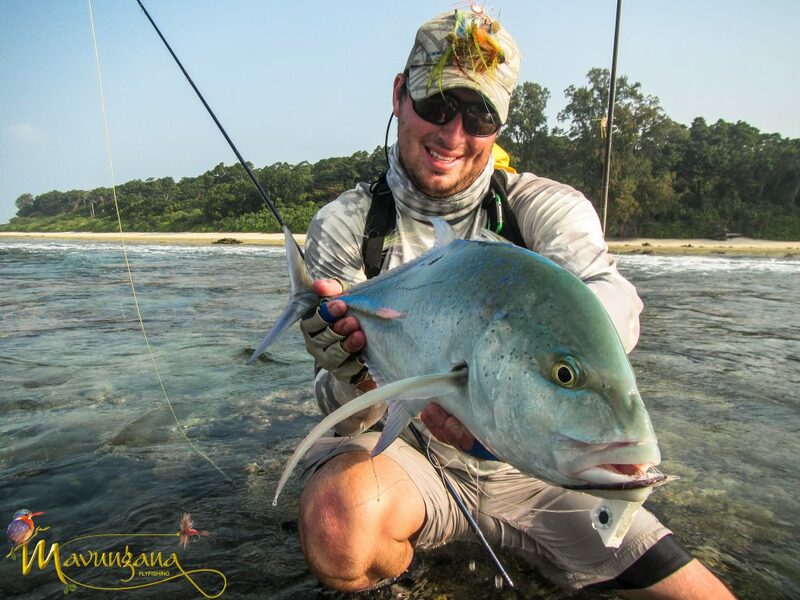 Known for its world-class popping and jigging (or as the term was dubbed- jigpop), The Andamans is the kind of place that even the die-hard “it only counts on fly” kinda guy has to at least give it a go and so we agreed to each have one short session sampling the deep blue with the heathen tackle. The action was biblical! 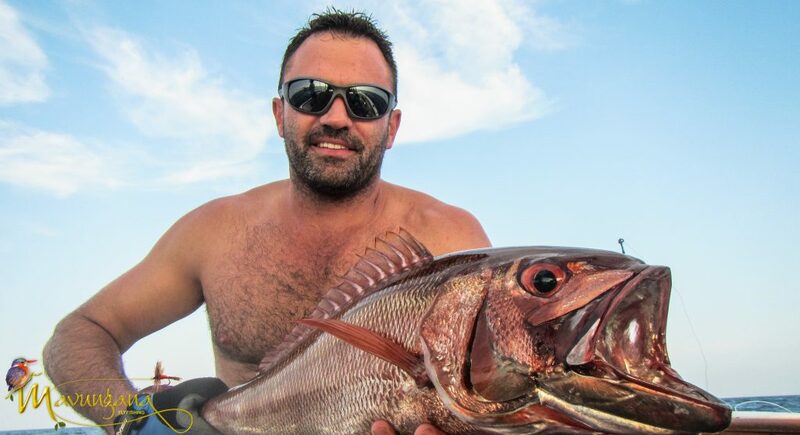 Triple hookups, and even quadruple hookups, while fishing in 100 meters of water, sharks chomping through 30-kilo fish, Flying Fish getting smashed by schools of tuna next to us. We were just waiting to hear David Attenborough start narrating in the background. All in all, the trip was fantastic. 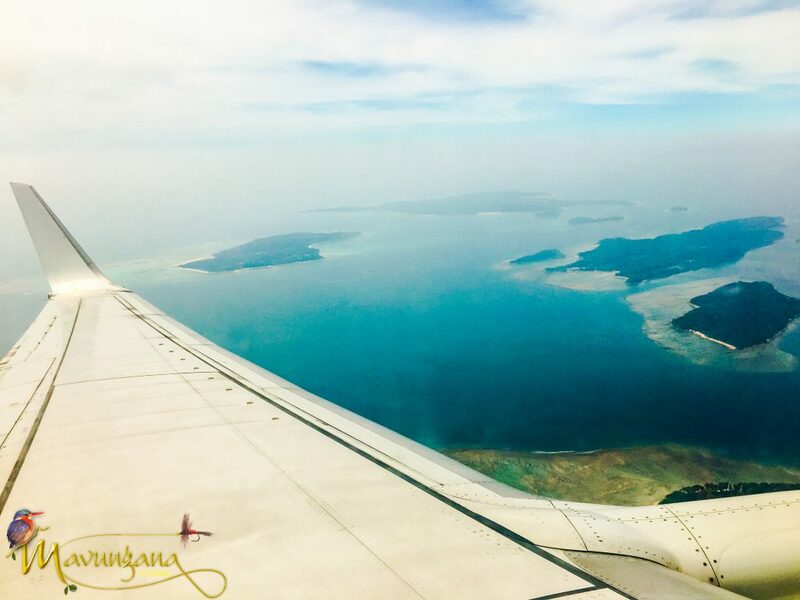 The islands are beautiful, the water pristine, the flats untouched but one thing that really stood out for me personally was the importance of group dynamics and having the right kind of people for the right kind of trip. Each and every one of the lads brought their very own unique charm to the trip. There was a feeling of kinship and comradery between the guys and that makes a great trip even better. In the end, we not only experienced an awesome untouched fishery but forged a fellowship among ourselves that will ensure we have many more trips together to remote destinations and I for one can’t wait! 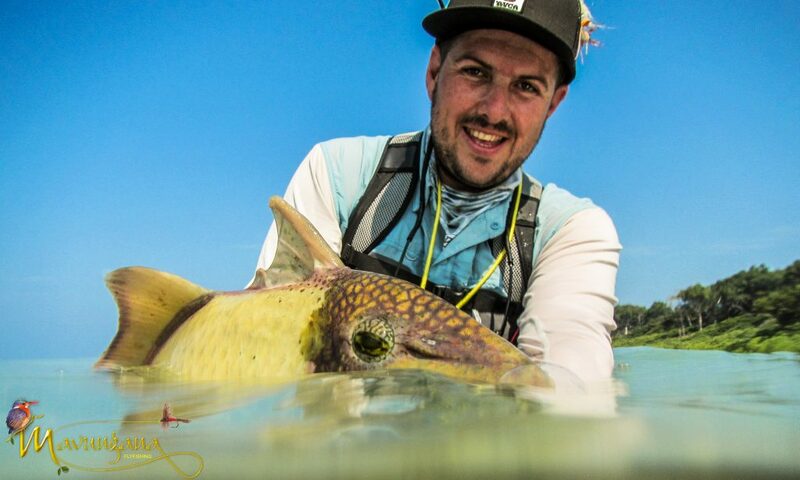 Sure fishing is about the places you go, the fish you catch and the interaction you get with Mother Nature but a big part of our pursuit is the friendships made along the way and the opportunity to share in the experience with your mates.